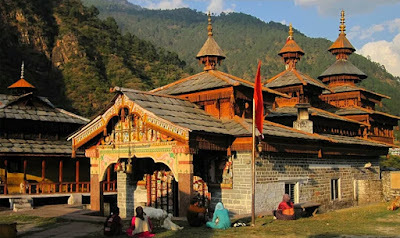 Hanol is a small hamlet situated on the Garhwal-Himachal border, on the banks of river Tons, famous for its temple belonging to the powerful deity, Mahasu Devta.This temple in Hanol has two extremely heavy mysterious balls which the locals believe are from Mahabharata time and belong to Bhim.It is included in the Archaeological Survey of India list of ancient temple in Dehradun circle, Uttarakhand.Here is some fact about Mahasu Devta Temple Hanol Uttarakhand India. 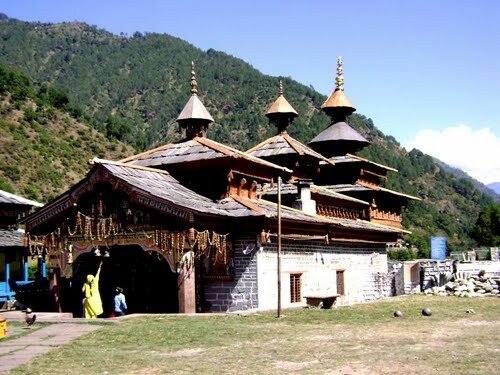 How to reach by Road: There are buses and private vehicles available to take you reach Mahasu Devta Temple Hanol. Mahasu Devta Temple is located on the Tuini-Mori road at Hanol. 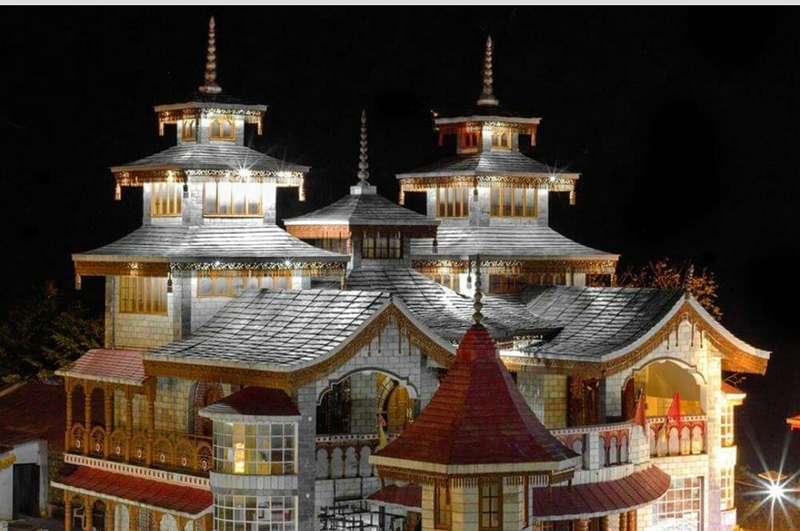 Mahasu Devta Temple is on the eastern bank of Tons River (Tamas) at Hanol village, near Chakrata, about 195 km from Dehradun and 156 km from Mussoorie.Hanol Mahasu Temple is situated at an altitude of 1429 m in the village of Hanol.The temple is dedicated to Mahasu Devta. Lord Mahasu is regarded as God of Justice and his decision was believed to be acceptable by people and local rulers.The temple was constructed in Huna architectural style initially but, over the ages, acquired a mixed style. The temple is made of stone and wood. 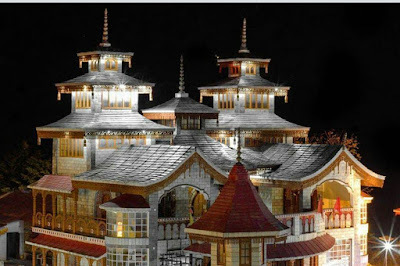 Architecture is splendid and there are some excellent wood carvings. The main sanctum, with a small door guarding the entrance, remains closed most of the time. Inside the temple compound there are two extremely heavy round-shaped stones lying on the grass. It is believed that only a person with the clearest heart will be able to lift those stones without breaking a sweat. The Garhwal Mandal Vikas Nigam guest house is the reasonable and comfortable accommodation option at Hanol. It has five comfortable rooms and a dormitory. The accommodation facility is also available in the premises of temple. 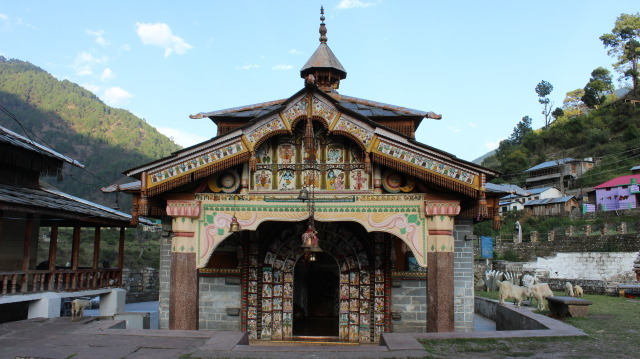 According to Hindu mythology, Mandarth a demon used to reside in this village that used to gobble one many every day. As the villagers were troubled, a devotee of Lord Shiva then asked for help and prayed to the lord for seeking help. Lord Shiva then asked Deolari Devi, a devotee of Lord Shiva and resident of the same village to send her all four sons to Mandrath. A fierce battle encountered between them, which lasted for a couple of days and at last, the four brothers, managed to kill the demon. After a couple of years, a villager while sloughing his field found the four Shivalingas which were named after the four brave sons of Deolari Devi-Botha, Pavasik, Vasik and Chalda. Since then, the villagers started worshiping Lord Shiva as Mahasu Devta here. 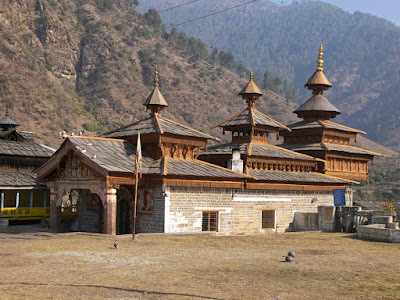 Temple of Botha Mahasu is the main shrine that is located in Hanol. The Annual Fair: Mahasu Devata fair is held every year in the month of August and is regarded as the most important religious fair by the locals. The fair is held at Hanol is celebrated by the Jaunsari tribe. Other communities also join them. This fair represents the cultural harmony between the various communities of the region. The Jagara: The Jagara celebrated for Mahasu Devata is typical to his cult and is not for outsiders. It is held in the month of Bhadon of the Indian calendar on the eve of Naga chauth as this is the day when the lord appeared from the ground. The images of the Lord are ritually bathed and wrapped in the folds of a sheet of cloth. During the ceremonial procession, no one is allowed to be near the image to avoid the curse of the Lord. Just before sunset, the image is taken inside the temple and placed on the altar. There are various rituals and festivities associated with the Jagara including sacrificing of a goat for pleasing the deity.